The Android Smartphone market is growing at a rapid speed. The Android smartphone companies are producing latest featured smartphones on a very cheap budget. The smartphone is powered by latest technology and versions according to Google. List of top 5 Android smartphones. 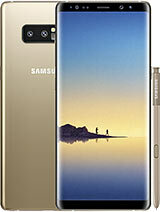 Samsung Galaxy S9+ smartphone was launched in March 2018. The phone comes with a 6.20-inch touchscreen display with a resolution of 1440 pixels by 2960 pixels at a PPI of 531 pixels per inch. 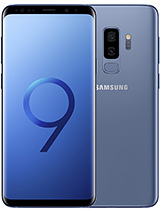 Samsung Galaxy S9+ price in India starts from Rs. 62,345. The Samsung Galaxy S9+ is powered by 1.7GHz octa-core processor and it comes with 6GB of RAM. The phone packs 64GB of internal storage that can be expanded up to 400GB via a microSD card. As far as the cameras are concerned, the Samsung Galaxy S9+ packs a 12-megapixel primary camera on the rear and an 8-megapixel front shooter for selfies. The Samsung Galaxy S9+ runs Android 8.0 and is powered by a 3500mAh nonremovable battery. It measures 158.10 x 73.80 x 8.50 (height x width x thickness) and weighs 189.00 grams. 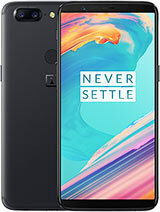 The OnePlus 6 mobile features a 6.28″ (15.95 cm) display with a screen resolution of 1080 x 2280 pixels and runs on Android v8.1 (Oreo) operating system. The device is powered by Octa core, 2.8 GHz, Kryo 385 processor paired with 8 GB of RAM. As far as the battery is concerned it has 3300 mAh. Over that, as far as the rear camera is concerned this mobile has a 16 MP camera Exmor-RS CMOS Sensor supporting a resolution of 4616 x 3464 Pixels and the front snapper is powered by an Exmor-RS CMOS Sensor. Other sensors include a Light sensor, Proximity sensor, Accelerometer, Compass, Gyroscope. So, does it have a fingerprint sensor? Yes, it does. For graphical performance that can make games run smoothly, this phone has got an Adreno 630 GPU. Onboard storage is at 128 GB with the option to expand the memory by No. Design is one of the most important factors when it comes to mobiles. This phone is 7.7 mm slim and weighs 177 grams. 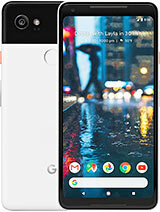 Google Pixel 2 XL smartphone was launched in November 2017. It has 6.00 touchscreen display and a resolution of 1440 pixels by 2880 pixels at a PPI of 538 pixels per inch. It starts from Rs.46,699 in India. This smartphone packs 64 GB internal storage which is non-expanded. It has 1.9 GHz octa-core processor which comes with 4 GB of RAM. As the smartphone is camera concerned it has 12.2 megapixels primary camera on the rear and 8 megapixels front camera for selfies. The Google Pixel 2 XL runs Android 8.0.0 and is powered by 3520 mAh non-removable battery. It measures 157.90X76.70X7.90 (heightXweightXthickness) and weighs 175.00 grams. It has a single SIM(GSM) and accepts nano-SIM. Connections include WiFi, GPS, Bluetooth, NFC, USB OTG,3G and 4G(with support for Band 40 used by some LTE networks in India. Some sensors are Compass/Magnetometer, Proximity sensor, Accelerometer, Ambient Light Sensor, Gyroscope, and Barometer. This smartphone was launched in August 2017. It has a 6.30-inch touchscreen display and a resolution of 1440 pixels by 2960 pixels. It starts from Rs.51,600 in India. Samsung Galaxy Note 8 has 1.7 GHz octa-core processor which comes with 6 GB of RAM. The smartphone packs 64 GB internal storage which is expanded up to 256 GB via a micro SD card. As the smartphone is camera concerned it has 12 megapixels primary camera on the rear and 8 megapixels front camera for selfies. The Samsung Galaxy Note 8 runs Android 7.1.1 and is powered by 3300 mAh non-removable battery. It measures 162.50X74.80X8.60 (heightXweightXthickness) and weighs 195.00 grams. It has dual SIM (GSM and GSM) that accepts nano SIM and nano SIM. Connections include WiFi, GPS, Bluetooth, NFC, USB OTG, Headphones, 3G and 4G(with support for Band 40 used by some LTE networks in India. Some sensors are Compass/Magnetometer, Proximity sensor, Accelerometer, Ambient Light Sensor, Gyroscope, and Barometer. This smartphone was launched in November 2017. It has a 6.01-inch touchscreen display and a resolution of 1080 pixels by 2160 pixels at a PPI of 401 pixels per inch. It starts with RS.32,99 in India. The smartphone packs 64GB internal storage which is non-expandable. OnePlus 5T has 2.45 GHz octa-core processor which comes with 6 GB of RAM. As the smartphone is camera concerned it has 16 megapixels primary camera on the rear and 16 megapixels front camera for selfies. The OnePlus 5 T runs Android 7.1.1 and is powered by 3300 mAh non-removable battery. It measures 156.10X75.00X7.30 (heightXweightXthickness) and weighs 162.00 grams. It has dual SIM (GSM and GSM) that accepts nano SIM and nano SIM. Connections include WiFi, GPS, Bluetooth, NFC, USB OTG, 3G and 4G(with support for Band 40 used by some LTE networks in India. Some sensors are Compass/Magnetometer, Proximity sensor, Accelerometer, Ambient Light Sensor, Gyroscope, and Barometer.